With an estimated $44 billion in purchasing power and influence over another $600 billion, Gen Z is poised to dominate the marketplace for years to come. Gen Z’s reliance on social media– and the distinct way in which Gen Zers express themselves on social platforms– have already changed the advertising landscape, and retail will never be the same. Complete the form to access our INTERACTIVE whitepaper and discover emerging trends in Gen Z social media, and how your brand can leverage them to make its mark on the most powerful generation of consumers yet. Thanks for downloading. 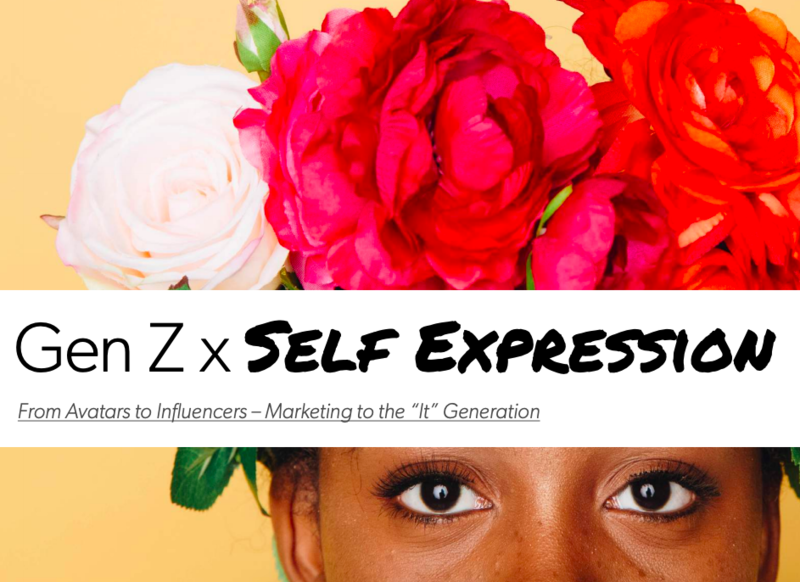 Click below to access your copy of our "Gen Z Self-Expression" report. Enjoy!